ARMYTRIX stands for the philosophy of arming the vehicle with the most advanced exhaust system technology that'll challenge everything you thought you knew about performance driving. By following the creed of achieving the most power, superior sound and true versatility, we build supreme performance valvetronic exhaust systems that are second to none. All fostered by a culture of perseverance and innovation. ARMYTRIX not only creates exhausts, we create experiences. Combining the knowledge and insights of our German and Japanese engineers, ARMYTRIX is the beacon of revolutionary design and masterful manufacturing. We are undisputed one of the best producers of high-end performance exhaust systems in the automotive aftermarket industry today. We appreciate the fact that each high-performance vehicles are sophisticated machines built to satisfy our desire to test the boundaries. Consequently, the aftermarket replacements must be able to take the punishment and push them beyond the imaginable. Our passion, expertise and quality are evident in our designing and manufacturing of aerospace titanium and T304 stainless steel systems. Systems are repeatedly tested and faults eliminated to make sure you get the absolute best, performing exhaust possible. ARMYTRIX exhausts are designed to the specifications of each vehicle and handcrafted to ensure perfect fit. We 3D scan our Audi, BMW, Ferrari, Lamborghini, McLaren, Mercedes-Benz, Nissan, Porsche, and Volkswagen, to create systems with maximum compatibility. Our innovative Valvetronic technology brings about unprecedented versatility to the operators. 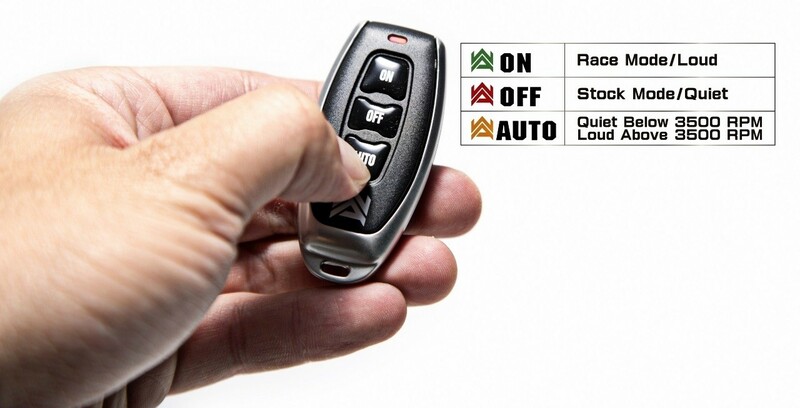 A simple key fob, a press of a button; you decide when and how you want to be heard. We are giving the power back to the driver; one to rule them all. The ARMYTRIX APP is a simple yet powerful addition to the arsenal, designed to enhance the total tuning experience, by linking the latest technology with our existing line of products. This revolutionary combination will change the way you think about presentation and performance. The APP supports both Android and iOS systems, across a multitude of platforms of smartphones, tablets and other mobile devices. From designated device you can precisely gauge the performance of the vehicle at that exact moment. It connects wirelessly to the ARMYTRIX Mobile OBDII Module which extracts ECU data and relays it, in real time, to your device of choice. The ECU readings are data logged at high data rates not found on any other commercial device. Keeping you inform about everything! Our exclusive system features a catalytic converter related fault codes clearing mechanism which keeps the vehicle running smoothly and optimally. No more check engine sign to shut down your moment in the sun. The clean and secure Plug-n-Play module provides a breath of fresh air from the old, messy, wire restriction. Completely unshackled, freedom within grasp, the true potential of the ARMYTRIX exhausts is fully unleashed for the world to see. What kind of warranty coverage does my exhaust system have? As long as you are the original purchaser, and is using the product the way it is intended to be used, the warranty coverage is for 18 months. However, warranty is void if any modification is made, improper installation, and/or misusage of the product. For a more detailed explanation, please refer to our Warranty Section. Or contact us directly. Each claim will be dealt with on an individual bases to ensure the best customer service experience. What if I want to return the product? You are qualify to return the product(s) if the defect(s) is in material and/or workmanship. It will take 7 to 14 days for us to determine the cause of failure. Once your claim has been verified, we will provide a replacement free-of-charge. However, all shipping costs are yours to bear. Does ARMYTRIX provide bespoke services? Unfortunately, we do not offer a customization service. Our systems are setup to perform to their optimal potential in the current configurations. Can I buy parts individually? Yes you can. However, there are selected parts that are not available to be sold separately. Please contact us for more information. Will I need to modify the system or my vehicle to make it fit? No. 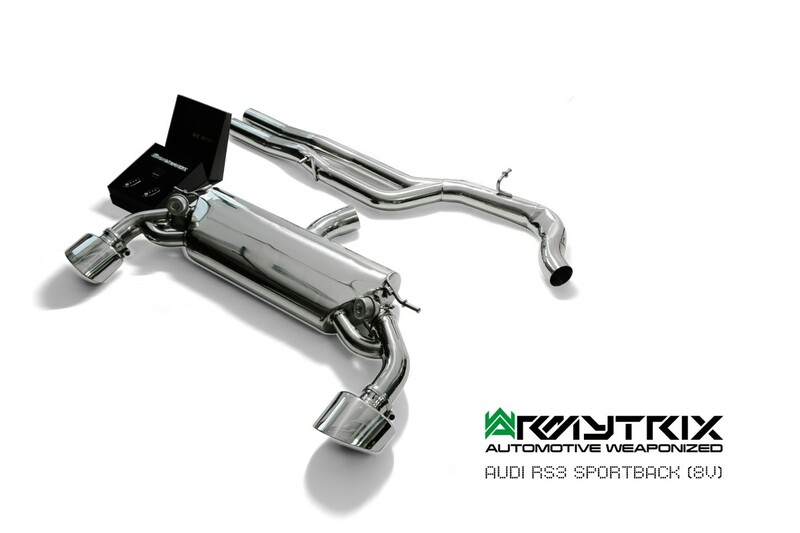 Each ARMYTRIX exhaust systems are designed to fit the intended vehicle type perfectly. We recommend you consult your local garage to install the system. How long does it take for you to ship? If you reside in Asia, the shipping should be within 3 working days. For the rest of the world it will be between 5 to 7 working days. What is Valvetronic and how do I control it? • AUTO - You choose how the valves behave by setting a RPM range or depth of the pedal. What are the benefits of having titanium made parts? We use aerospace-grade titanium which is extremely resilient. It can withstand extreme conditions and still maintain its characteristics; at the same time being exceedingly light weight. Then what about your stainless steel products? Our stainless steel exhaust systems are specifically designed to provide you with the most efficient balance of exhaust flow with high strength to weight ratio to achieve substantial performance gain across the power-curve. Which catalytic converter is best suited for me? O.E. converters usually contain higher CPSI (Cells per Square Inch) for filtration. We offer a 200 CPSI replacement to promote larger exhaust flow resulting in better performance and sound. But to achieve the maximum performance gain and sound, we recommend our de-catted exhaust systems for uninhibited flow.